Phone 087 781 4814 today to find out more about our services and special prices. We have a large fleet of vintage and modern limousines and cars that are ideal for any special occasion. Bases in County Leitrim and Louth allow us to cover both the North West and North East of Ireland including Dublin. 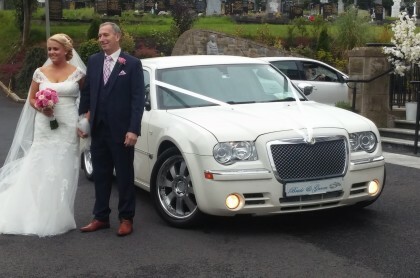 Our limousines are perfect for weddings, debs and hen and stag parties. Our main choice for limo is the stretched Baby Bentley as it carries eight passengers with ease and comes with a stylish bar. 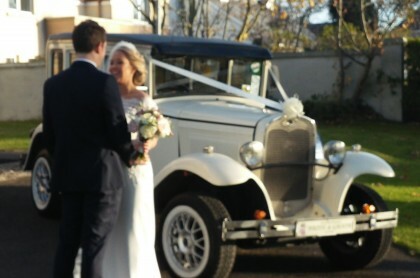 The Bramwith Vintage Car is also ideal for any wedding. 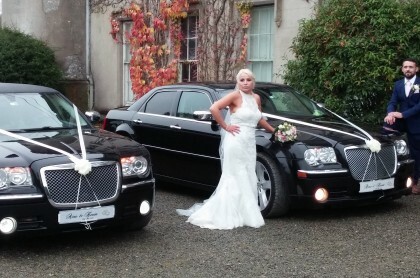 Check out our black and white Baby Bentleys they are great for special occasions and executive travel.